Copper prices fell to their lowest level in a year Thursday, weighed down by growing trade tensions between the U.S. and China. Copper for September delivery was down 3.1% at $2.8260 a pound, the lowest level since July 2017. Prices for the metal have fallen around 15% from their June highs, as investors worry that a brewing trade war between the U.S. and China could slow global growth and hurt demand for copper, which is used extensively in manufacturing and construction. China alone accounts for around 40% of global copper demand, closely tying copper’s price to the health of the world’s second-largest economy. The Trump administration plans to impose tariffs on $34 billion of Chinese products starting 12:01 a.m. Eastern time Friday. China pledged to retaliate with levies of the same value. In precious metals, gold for August delivery rose 0.4% to $1,258.10 a troy ounce. Investors are awaiting minutes from the Federal Reserve’s most recent policy minutes, due out later Thursday. Indications that the central bank may be more hawkish than expected in raising interest rates could weigh on gold, which struggles to compete with yield-bearing investments when borrowing costs rise. 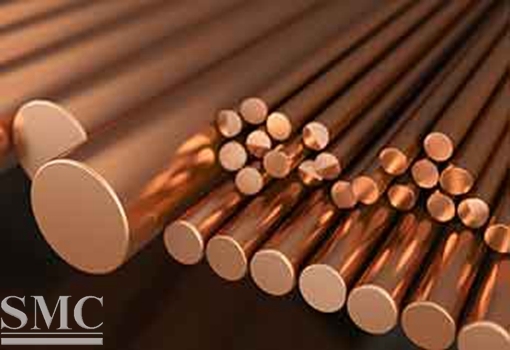 While copper may be loosing value as an investment the lowering price of copper is being passed on to consumers offering lower prices on copper based goods, a positive turn from the recent trend of what some would call over pricing of the commodity.